Electric bikes are all the rave in Wollongong. Slowly but surely, these new bikes are catching the attention of bike lovers of all ages. The most significant benefit of buying electric bikes is that they remarkably save on costs and save the environment. Due to this rising demand, where there were a just a hand of e-bike manufacturers a few years ago, today, there are a plethora of them. Choice always leads to confusion. With a wide variety of e-bikes available in the market, choosing an electric bike becomes a daunting task. Since these bikes are a new segment of transport, people still do not know much about the bike. Whether you are looking to buy mountain bikes or recreational bikes, consider these following aspects to make an informed buying decision. Functionality is a crucial aspect. If equipment does not work as expected, the purpose of the purchase is lost. So, it is imperative to understand your needs and requirements before buying your product. The same holds true for electric bikes. For instance, if you are looking to cruise around your city, find something that offers a comfortable seating position. Make sure that the bikes you choose come standard with high yet close handlebars which can keep your arms relaxed even after hours of riding. With plenty of affordable electric bikes available in the market, finding your most desired bike is no longer a daunting task. These bikes are ergonomically sound and offer the same comfort levels when riding as compared to a traditional style of bike. Bottom line, decide on the purpose you want your e-bike to serve and choose a model that works towards achieving that end. It is also imperative to check an e-bike’s battery and its capabilities. This is because the e-bikes range and power is determined by the battery. Each battery has its pros and cons, and it depends on your requirements and your budget. Riding a bike with a low-capacity battery means there’s a definite chance you might get stranded frequently. So, be sure to check an e-bike’s battery and its performance figures before deciding on the purchase. Do not forget to have the battery charged regularly and according to the manufacturers instructions through the main socket. Usually, there are three types of batteries namely, lead-based batteries, nickel-cadmium batteries, and lithium batteries. People opt for e-bikes with a decent transmission system that helps them gather speed when required. To serve this purpose, e-bikes often come equipped with a derailleur system which seamlessly assists in shifting gears. The system reduces the strain on a rider’s legs. If you are looking for more consistent performance and more versatility, choose the ones that come with a gear system. Some bikes come up with a control module which helps to optimise and implement motor function. The module will help you get the exact help you require from the motor. You can also find bikes with a more advanced form of assistance which offers more proportional assistance by keeping track of the rider’s pedalling and providing extra power to keep the bike moving effortlessly. Apart from improving responsiveness, the system also brings down the overall power used throughout the ride. Where Do You Want the Motor? The motor is one of the essential components of an e-bike. It receives the necessary power from the battery that helps move you along. Earlier, motors were chiefly attached to the front wheel as it turned out to be way cheaper and was easy to install. However, as the biking technology has advanced over the past years, pedal-based motors are being used these days. There are also variants that come standard with sensors to help measure speed, rotation, and pressure. All in all, if you want optimum performance from your e-bike, select one with the motor along the pedal. Of course, when shopping for anything, the value is a crucial factor. The same holds true for electric bikes too. Finding the right balance between the price and quality is imperative. Going for the dirt cheap product is not a good idea while looking for an expensive e-bike if you are not going to utilize the features is not recommended either. Hence, it would be ideal to adopt the middle path. To sum it up, e-bikes are the future of many cyclists, as they prove to be a more sustainable mode of transport that is not harmful to the environment. With the progress of technology, e-bikes are going to scale new heights soon. 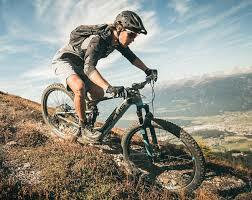 Head to Bike Hub Wollongong and find a wide range of electric bikes at an affordable price.